If you face prosecution for 2nd degree murder charges under the Watson Murder rule, it is important to understand how this crime is defined under the California Penal Code. Our attorneys at Wallin & Klarich want to share with you what the prosecution needs to prove in order to convict you of this offense under California Penal Code section 187. Based on the court’s ruling in People v. Watson, you can be charged with second degree murder if you drive while under the influence of drugs or alcohol and someone dies as a result of your conduct. The Watson Murder rule established in this case allows the prosecution to charge this offense (which is typically charged as a form of vehicular manslaughter while intoxicated) as second degree murder under California Penal Code section 187. There are several elements that the prosecution must prove against you to convict you of Watson Murder. An act causes death if it is the direct, natural, and probable consequence of the act and the death would not have happened without the act. Although there may be more than one cause of death, if your act is a substantial factor in causing the death, the causation requirement is met and you could be convicted of second degree murder under the Watson Murder rule. Malice aforethought is the mental state that must be formed before the act that causes death is committed. There are two kinds of malice aforethought, express malice and implied malice, and proof of either is sufficient to establish the state of mind required for murder. You act with express malice if you unlawfully intended to kill the victim. However, the prosecution will typically not attempt to prove that you acted with express malice for purposes of a Watson Murder charge. Rather, they will rely on evidence that you exhibited the mental state known as implied malice. An act is intentional if it does deliberately or on purpose. The prosecution does not need to show that you actually intended to kill another person. Rather, they need only show that you intentionally committed an act that would likely result in harm to another human being. The act of driving while under the influence of either drugs or alcohol poses a substantial risk of harm to both passengers in your own vehicle as well as other drivers sharing the same road. If you choose to drive a vehicle while intoxicated, this requirement is usually met. Watson Admonition: If you have previously been convicted or pled guilty to a DUI charge since 1981, you were likely required to sign or verbally acknowledge what is known as the Watson Admonition. By signing this document, you have acknowledged the fact that driving while under the influence is extremely dangerous to human life and if you kill someone while driving under the influence, the prosecution can charge you with second degree murder. This acknowledgement can be sufficient to show that you had knowledge of the dangerous consequences of your actions. Court approved DUI school: If you have been previously convicted of pled guilty to a DUI charge, you may have been required to attend a court approved DUI school as one of the terms of your probation. The essence of these classes is to teach you the dangers involved in drinking and driving while under the influence of drugs and alcohol. The prosecution can use evidence of your enrollment in these classes to prove that you knew of the special dangers and risks posed by driving while under the influence. Although a Watson Admonition and Court approved DUI school are the most commonly used items of evidence that the prosecution will use to prove implied malice, you do not need to have a prior DUI conviction on your record in order to convict you of this offense. Implied malice can be proven by any evidence tending to show that you had special knowledge of the dangers of driving while intoxicated. If you have been charged with 2nd degree murder charges in California under the Watson Murder rule, you need to contact an experienced defense attorney who is dedicated to giving you the best representation possible. With offices in Orange County, Los Angeles, San Diego, San Bernardino, Riverside, Torrance and Victorville, Wallin & Klarich has successfully represented clients facing prosecution for second degree Watson Murder for over 35 years. 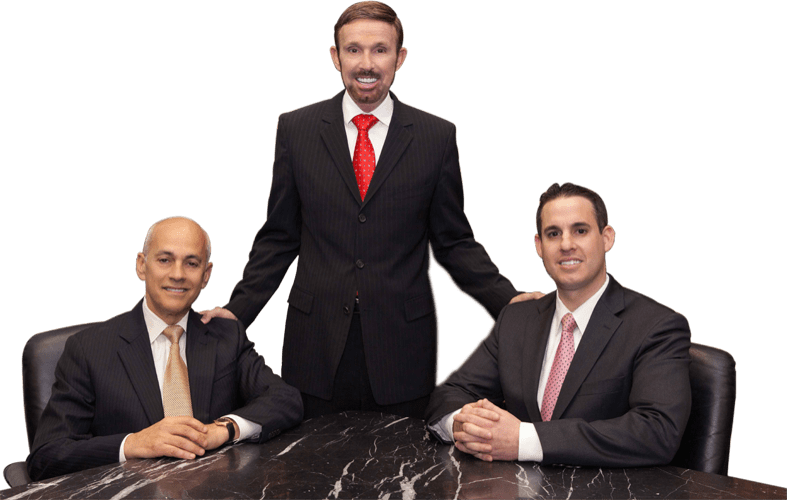 Drawing from extensive experience, our talented defense lawyers will thoroughly review your case and develop an effective defense strategy to win your case.